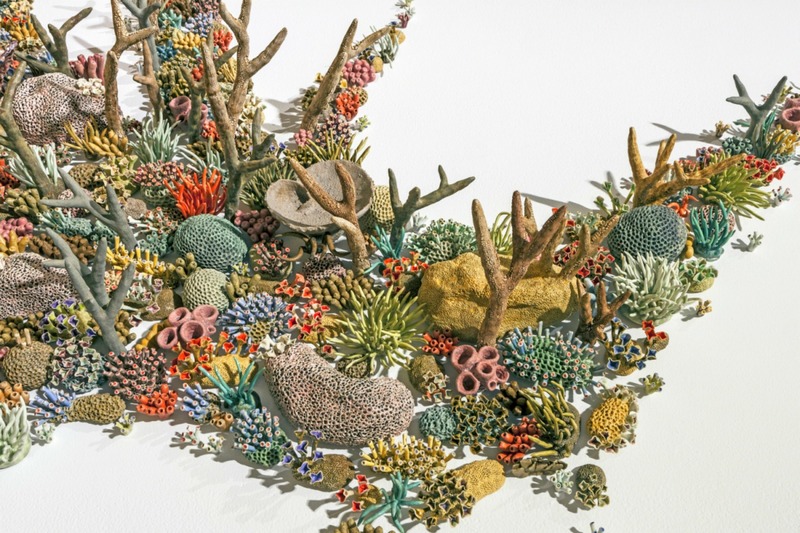 Using her amazing hand-crafted ceramic coral sculptures, scientist-turned-artist Courtney Mattison is on an artistic mission to bring awareness to the precarious state of our coral reefs. In her latest art exhibition, "Sea Change", Mattison, who has been using her talent to call attention to ocean issues for years now, takes visitors through an eye-opening tour of coral reefs and their biggest threat: humans. 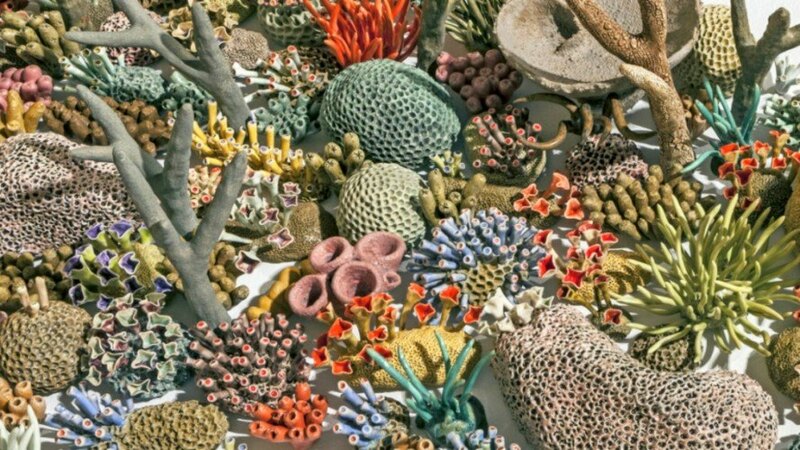 Mattison’s current art exhibition, held at the Virginia Museum of Contemporary Art, features an eight-foot-tall ceramic reef made of glazed stone and porcelain. The ocean advocate, who recently gave an interview to Grist, explained that she crafts all of her sculptures by hand. In her studio, which she refers to as her “inland sea studio,” she builds tentacles and cup corals out of porcelain, but uses clay stoneware sculpture for the bulkier pieces. The “Sea Change” exhibition will be at the Virginia Museum of Contemporary Art through April 17, 2016. Mattison's current art exhibition, held at the Virginia Museum of Contemporary Art, features an eight-foot-tall ceramic reef made of glazed stone and porcelain. Recently, the ocean advocate, who recently gave an interview to Grist, explained that she crafts all of her sculptures by hand. . Her previous art exhibition was called "Our Changing Seas". In her studio, which she refers to as her "inland sea studio," she builds tentacles and cup corals out of porcelain, but uses clay stoneware sculpture for the bulkier pieces. When asked about her years-long dedication to creating such intricate art pieces, Mattison says its all about bringing awareness to the oceans' fragile ecosystems. Specifically, with the large wall-mounted installations, she tries to bring people into the ocean waters, to feel "like they are hovering really slowly over a reef and losing perspective." .